Some of you may never have heard of the game EarthBound, or as it's known in Japan: Mother 2. Some of you may know of it from the Super Smash Brothers series, featuring Ness and Lucas and some of you may have actually play the game! 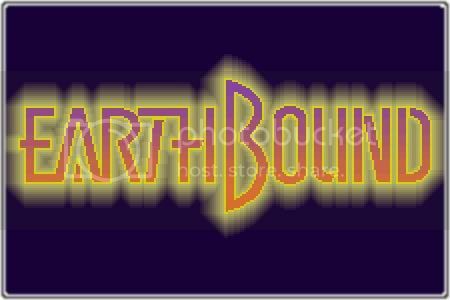 Regardless, EarthBound was a quirky, funny and memorable RPG that many held dear when it was released in the SNES era. Unfortunately, the game was met with rather poor sales in the United States; causing Nintendo to more or less ignore the game's following in America. Many fans of the game sent in petitions to Nintendo asking for localization of its sequel, and just to remind Nintendo that there is still a fanbase. Unfortunately, Nintendo have barely acknowledged these fans..until now. Nintendo company president, Satoru Iwata , has graced us with the information that EarthBound is planned to release on the Wii U Virtual Console later this year. Iwata didn't go into much detail about this release, only stating that “the game’s creator, Shigesato Itoi, and myself are happy about this as well,” during the Nintendo Direct show stream. Personally, I'm glad that Nintendo has decided to pay attention to its fans. In an age where most companies exist only to make money, it's a refreshing thought to know that by showing love and support, Nintendo recognized those fans and finally rewarded them for their devotion. What do you guys think about this? Are companies finally starting to listen to their user base? Or is this simply to swat fans away to get a moment of peace? Let me know your opinion in the comments below.